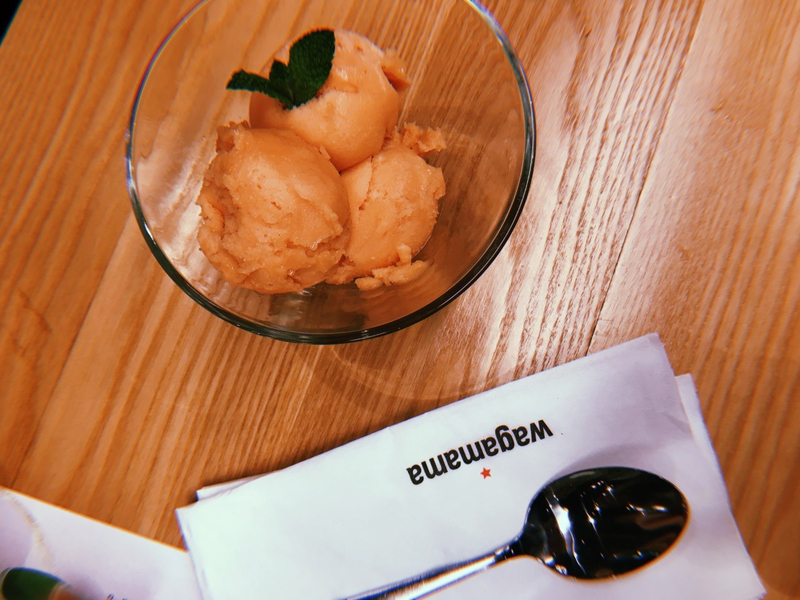 Last week, I was reunited with the wonderful guys from MetMUnch, where we invited by the lovely team over at Wagamamas to taste test their new vegan menu. Now taste test means a few samples usually, right? Wrong. We were completely spoilt and got to indulge in the entire menu, desserts and all! In this modern day, veganism is an ever growing lifestyle. In 2016, The Vegan Society estimated there to be over half a million vegans in the UK, with even more vegans and vegetarians around the world. Whilst you may have your own personal views on veganism, pro or con vegan lifestyle, the British Dietetic Association in 2014 recognised veganism as a valid healthy diet. There are many positives and negatives to both our physical and mental health around this lifestyle, but one thing that cannot be argued with is that veganism is an amazing way of packing fresh fruits, veggies and plants into your diet. 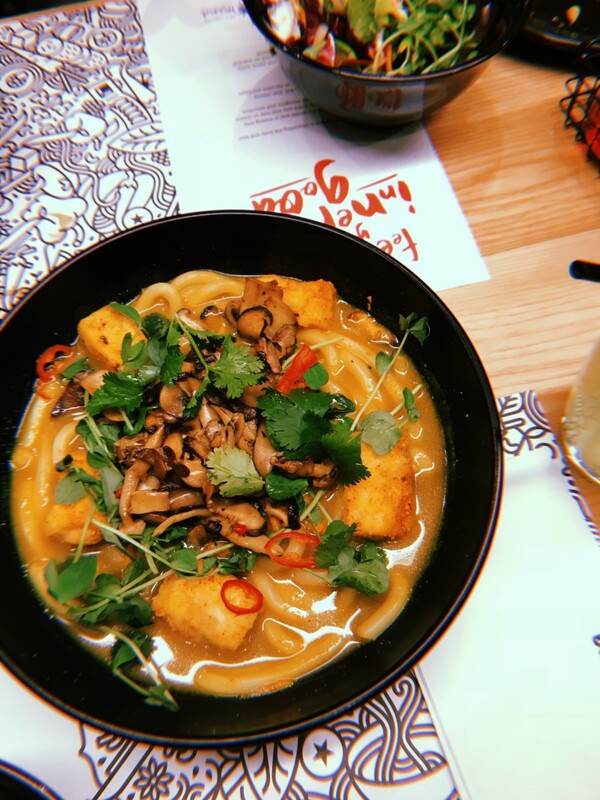 Wagamama has managed to create an incredible marriage of ingredients and spices to pull some wicked twists to your everyday Asian cuisine. The menu is comprised of four starters, seven mains, two desserts and three sides. With an array of colours and flavours, there is something to suit everyone’s taste buds. Salads, curries, noodles – you won’t be disappointed. “You don’t even need meat” – I’m pretty sure that’s a comment that was well received. 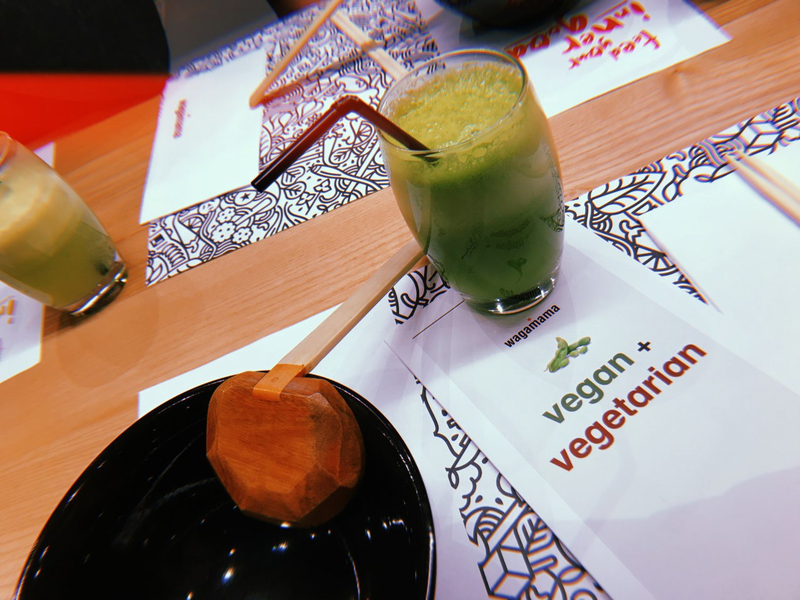 But the truth is, you don’t with the amazing veggies, tofu and spice combinations that Wagamama have put together. My personal favourite dish was the Yasai Samla Curry. Its fragrant but creamy sauce bring together the veg and the tofu wonderfully, with the dish being extremely filling and comforting in this bitterly cold weather. This dish, amongst others, has let me completely fall in love with tofu! I’ve never tried it before, but I shall definitely be using it as a protein sourced substitute on my #meatfreemondays. One thing which I was completely shocked about was the staff’s consideration and help provided towards my nut allergy. Having anaphlyaxis can be difficult and sometimes limiting. Staff and businesses can often find you an inconvenience or a burden, not catering for needs. Luckily, Wagamama’s provided incredible service, where they created every single dish on the menu nut free for me – this has never happened to me before, usually I’m just told to avoid the nut options. The chain cook all their food from scratch, which means you’re not only receiving super fresh produce, but it’s a bit safer for people like me too! The full menu can be found here – be sure to check it out, vegan or not. It is DIVINE. A massive heart felt thank you to the guys at both MetMUnch and Wagamamas, St Peters Square, Manchester. I really needed my spirits lifting this week and it was SO good to be reunited with people who share the same love of food and nutrition as I.